Samsung is perhaps one of the leading choices when it comes to smartphone technology at large. It has everything that has anything to do with technology. Networking equipment, smartphones, and processors – you name it, and they are into it. When it comes to the processors, the Exynos range of processors developed by Samsung has been quite popular. 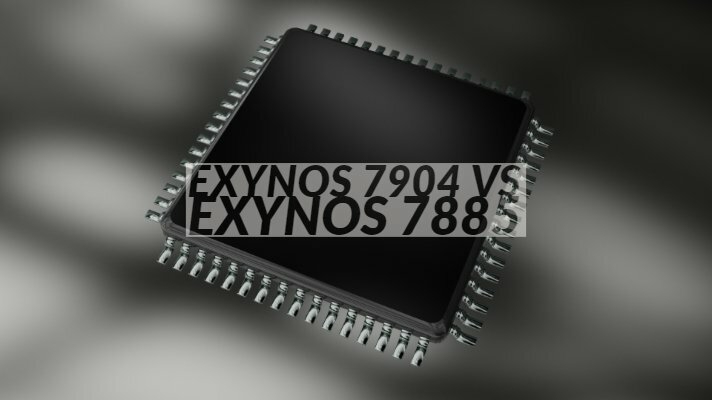 Samsung recently launched its Exynos in 7904. We will compare it with the Exynos 7885 in today’s post. Samsung has released the new Exynos 7904 specifically targeted to the mid-range smartphones. Based on the latest 7 series Exynos processors, the new entrant is created explicitly for the smartphones being launched in India. With that focus on the Indian market and the mid-range devices launched here, the processor comes with a lot of goodies packed in. The processor now comes equipped with support for triple cameras, full HD+ display, and LPDDR4X RAM. The CPU is built on a 14 nm FinFet manufacturing process and comes with eight cores. It offers you two ARM Cortex-A73 that clocks at 1.8GHz and six ARM Cortex-A53 with a clock speed of 1.6GHz. It also comes integrated with the Mali-G71 GPU. This will ensure an enhanced level of 3D gameplay. The new processor comes with the capability of shooting 1080p videos at 60 fps and 4K videos at 30 fps. 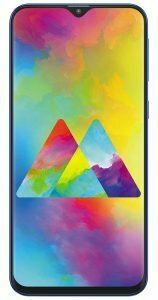 The processor is widely designed for use on the Samsung Galaxy M series smartphones marketed specifically for the Indian market. Well, with that information background, we will now check out the two processors from Samsung on a broader detail. We will compare them based on a few key parameters. The focus of the Exynos 7904 has been on the enhanced levels of performance in terms of camera features. It also offers you an extended level of computing power. The new image signal processor (ISP) provides you access to a unique experience in mobile photography through optical zoom, bokeh effects, scene detection, and similar other advancements. A further reliable LTE modem support will make your browsing and processing a cakewalk. The Exynos 7885, on the other hand, focusses on the excellent processing power and high power efficiency. High fidelity gaming and high-end web browsing are the two most important capabilities that it offers you. The advanced ISP (Image Signal Processor) and MFC (Multi-Format Codec) provides you access to a seamless sharing and capturing on the move. The Exynos 7904 is manufactured with the 14 nm FinPet manufacturing process, while the Exynos 7885 is a result of the 12 nm manufacturing option. The 7904 comes with two ARM Cortex-A73 cores designed for high-end computational tasks and clocks at 1.8 GHz. Other six Cortex-A53 cores at 1.6GHz are suitable for the other day to day tasks. The 7885 offers you two 2.2GHz Cortex-A73 CPU cores and six 1.6GHz Cortex-A53 CPU cores. The single core performance of the new 7904 has been considered to be 80 percent more potent than its predecessors. Also, the Mali-G71 MP2 GPU provides you an overwhelming performance in terms of graphics. You can experience an outstanding 3D gaming performance. Like we said before, the Exynos 7904 is designed for excellent camera performance. The focus lies on the mid-range smartphones, and thus it aims at bringing the high-end imaging performance found on the high-end flagships of 2018 to the mid-range devices of 2019 as well. The new image processing processor on the 7904 supports single camera resolutions of up to 32 MP on both the front and rear. It also brings the advanced triple camera features to the mid-range devices. You can now shoot both wide-angle landscapes and a specialized bokeh effect for enhanced performance. Some of the new features introduced include scene adaptive color control, video image stabilization, and multi-frame image processing for sharper image and better color accuracy. The Exynos 7885 introduced the advanced ISP and support for up to four image sensors. It also supports the iris sensor for enhanced security. Some of the features that the advanced ISP on the 7885 can offer are smart WDR(Wide Dynamic Range), DRC(Dynamic Range Compression), PDAF(Phase Detection Auto Focus), and face detection. The Exynos 7904 offers you access to the ARM’s Mali-G71 MP2 GPU which comes integrated with the processor. The advanced Bifrost architecture provides you access to a higher level of graphics rendering. The Exynos 7885, on the other hand, offers you ARM’s Mali-G71 GPU and has the advantage of advanced Bifrost architecture for enhanced gaming performance. This is perhaps one of the areas that the two siblings work almost on equal levels. The Exynos 7904 offers you a full memory bandwidth of 14.8 Gbps and thus provides you a smooth multimedia performance. The processor also supports the advanced media codecs like HEVC(H.265) and H.264. The processor can efficiently encode or decode the high resolutions like 4K UHD at 30fps or full HD at 120fps. The Exynos 7885 has the advanced MFC (Multi-Format Codec) and thus supports a powerful 4K UHD recording and playback. It supports 4k UHD encoding at 30 fps. The HEVC (High-Efficiency Video Coding) ensures that the high-resolution videos at smaller optimal file sizes. This should be an excellent option for file sharing. It also has a dedicated audio sub-system that provides high-quality audio processing at lower power consumption. Having gone through the specifications for each of the two processors, how about checking out the two of them in a side by side comparison for an easier understanding? That way we would be able to understand the functionality in more precise detail. Which one should you go for? Well, the two processors have been designed for specific requirements. The Exynos 7904 is meant for the mid-range devices and is bound to bring new improvements to the functionality you can expect on the mid-range devices marketed for Indian region. The Exynos 7885, on the other hand, is meant for high-end devices. There is one area where the 7904 takes the lead over 7885. The ISP offered by the Exynos 7904 is an upgrade over the one on Exynos 7885. Taking a conclusion between the Exynos 7904 and Exynos 7885 may not that easy. It gets complicated because of the specific uses case areas that the two have been focussed at. The Exynos 7885 offers you a better CPU performance than the Exynos 7904. The narrower manufacturing process will translate into enhanced performance and thus provides you access to a better performance in 7885 and lower power consumption. In essence, we will consider the Exynos 7904 a better option than 7885 when you make the comparison based on the camera improvements. In other areas, it slightly falls below the level of 7885 and competes efficiently with the older brother.